VFX Control from MixVibes: A thoroughly modern video DJing software/hardware combination that doesn’t cost the earth but packs in features that would have set you back tens of thousands just a few years back. 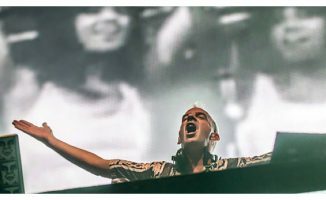 While video or visual DJing has been around for a while, it won’t surprise you to learn that, just like with audio DJing, the arrival of digital is really shaking things up. Looking back 10 to 20 years, I recall clearly two types of video DJing. 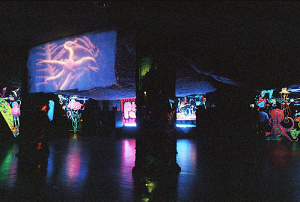 There was visual DJing at raves – fractals and other visuals being projected onto big screens by the visual jockeys of the day, from early computers or video tape. Then there were the video bars, with DJs or just video jukeboxes playing the pop videos of the day across mega screens throughout commercial venues. With the arrival of DVD, DJing “properly” with music videos and with added visuals came a step closer. 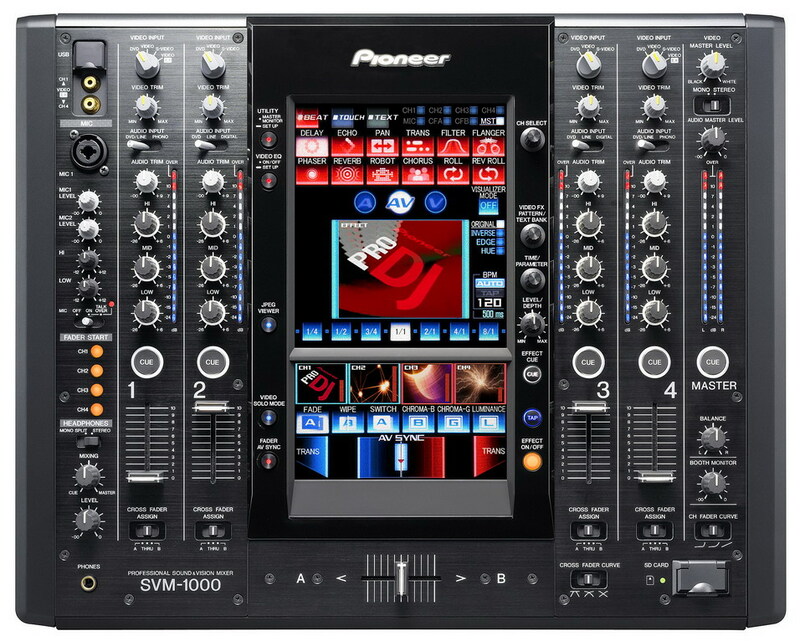 Pioneer were on it early with their DVJ-X1 back in 2004, later introducing their current video DJing hardware, the VDJ-1000 (which looks very similar to its CDJ player but adds DVD capability) and the SVM-1000 audio/video mixer. With this system, the aim was to put audio and video into the same mixer, offering the DJ/VJ the chance to play either audio only from the players and add visuals from the mixer, or to play actual music videos. You could assign video functions to the same controls you use for audio, so for instance the EQs could affect elements of video as well, the crossfader could perform video fades and wipes, loop rolls also affected video and visuals, filters could simultaneously blur video, and so on. More importantly, the SVM-1000 had a touch screen and a built-in visualiser, allowing the DJ to add computer-generated video effects, text and so on too their performance, with beat-synced movement – cubes, diamonds, ripples, pulsating coloured lines and lots of other trippy variations were suddenly easy to add to a performance, even if that performance was 100% audio only. Finally, the Pioneer unit allowed the addition of still JPEG images, which could be cycled through as slide shows, and with the use of the touchscreen to manipulate them, they could be multiplied and moved around the screen. 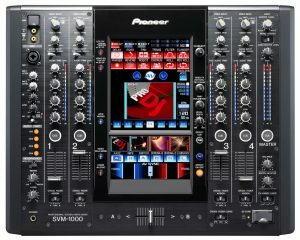 With the Pioneer system, video could be put on its own channel away from audio too, meaning that as long as you mastered the system and were practised, you could DJ with the same pair of hands, from the same mixer, using either audio plus visuals or music videos, and mix it all together professionally and seamlessly. Drawbacks? Well, you won’t get any change from US$11,000 for two players and a mixer, and that’s before you’ve bought any other gear. Furthermore, you’re tied to physical DVDs, which in itself can feel like a drawback in a digital, virtual world. Of course, there is other video hardware out there: Numark has a cheaper, simpler take on an audio/video mixer (the Numark AVM02) for which you can bolt on a screen (Numark VM03 Mk II). The Pioneer SVM-1000: about the price of a small car. 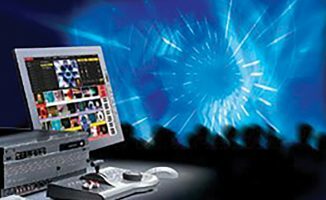 There are the popular Roland / Edirol V-4 and Roland /Edirol V-8 video mixers; and karaoke DJs have for many years used video equipment in their shows (although you wouldn’t want to try beatmatching on some of those DVD players). 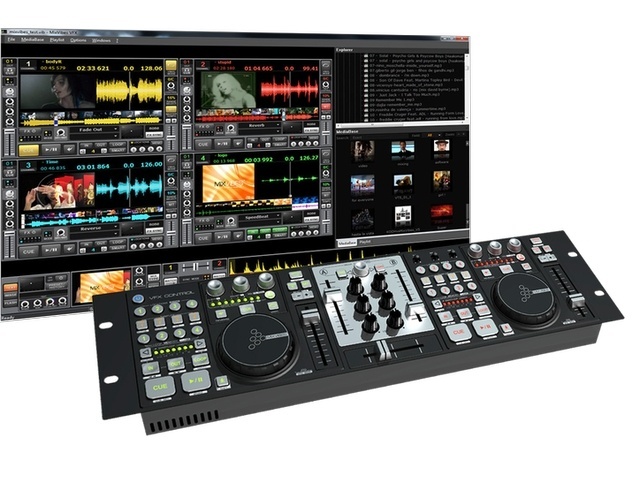 This type of hardware represented a significant leap forward for video DJing – but just as two CDJs and a decent mixer can cost you US$5000 or more but you can do the same thing in software for a tenth of that outplay, so it is with video DJing. Digital is blowing away the need for expensive hardware, and bringing all of this into the hands of the masses. 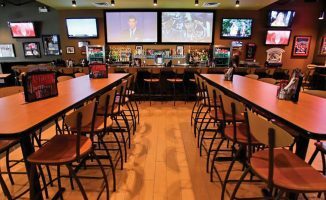 So, you want a go – right? 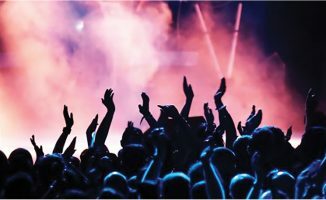 What we need to do is find a way of getting some of the great elements that video DJing promises (custom titles, visual, music videos, effects, even live video feeds of your decks or crowd) into our DJ performances using what we are used to DJing on already – laptops, software and controllers. It’s cheaper – You might not actually have US$11,000 knocking around to see if video DJing may be for you. Why not use software and a modern, powerful laptop to shave thousands off the price of experimenting with video DJing? Before we plough on, though, I’d like to make one thing clear: Just like with audio DJing, we need to respect the roots here. Things we’re going to use without a second thought were just a few years ago confined to professional production environments. We have yesteryear’s pros to thank for helping us get to where we are today with this stuff. 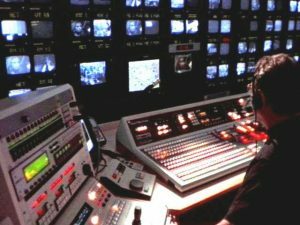 The rave visual jockeys of 20 years ago with their carloads of analogue equipment, for instance, paved the way for some of the stuff we’re going to look at in the coming weeks in this series. The revolutionary video jukeboxes kickstarted today’s digital video pool and music video DJing systems. Karaoke guys, animators, TV production professionals: Much of what digital can do today was originally scoped out by these guys. At the same time, let’s remember what we’re trying to do here: We’re trying to let you, the digital DJ, add some video capabilities to what you do – minimum expense, minimum fuss, minimum extra work. Basic results that you can build on if you find it’s for you. So digital is the way we are going to go, We’ll look at ways of adding video and visual elements to your performances using laptops and even iPads. Hardware will be small, portable and minimal. You’ll be able to start messing around with video for less money, and thus with less commitment. It’s a young discipline too, and by operating in the digital realm, you’ll be right on the cutting edge where the exciting stuff is happening. Next week we’re going to start looking at the nuts and bolts – what software and hardware you can use for digital video DJing, how much it all costs, and what you can expect to do with it. 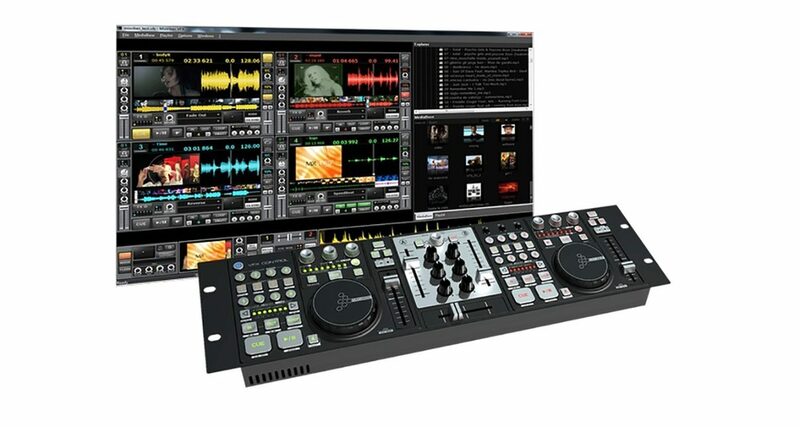 Are you already using some kind of digital video DJing software or software / hardware combination? What are you doing with it? We’d love you to share your experiences in the comments. I have my Ipad 2 using TouchOSC and Akai lpd8 hooked up to Resolume Arena 4. Is there a way I could make the output from Serato Itch Video be one input in Resolume? Also, what projector would you recommend? Preferably something not over $500. If you wanted to use the microphone on your iPad, you could probably get some results similar to what you’re looking for. A good, inexpensive projector is this guy: FAVI RioHD-LED-2 Mini Projector billed as the “$200 2-LED Projector” it does a full 1080i / 1080p and it’s not a bad little unit for such a small price. It’s not very bright in the light, but it’s worth a look at for clubs. Ive also seen VJ’s starting to use APC40s a lot! To be quite honest – I’m not really content about this, for the very first time. DDJT has done a remarkable job to digital DJing, but still not getting to the point at Pt.3 in the row is not answering a single question I have. What are valuable solutions? How can we deal with the equipment most of us have? What software is really doing the job, however? Are there any alternatives? We know this is just the start of the way, Phil, but show us as many directions as you can, please. Sorry we’re not moving fast enough for you. We have planned this series to pace a new topic in a steady way. We intend to produce a LOT of content in this area so clarifying what we will and won’t cover and framing the field for the first few posts is deliberate. I’m a Serato user and new to VJ. I want to use my Vestax VCI300mk2 with Itch’s video plugin by Serato Video… are there any recommendations for extra equipment I should use (midi) with this portable setup or can I just use my laptop and Vestax controller to mix videos and music and visa versa ? You cannot add extra midi controllers with ITCH but you can with Serato DJ, their new software. However, it is not currently available for your DJ controller. I’d start with what you’ve got. Ok thanks Phil. I will certainly experiment some more. It seems with my current set up I don’t have physical hands on control of the video with Vestax controller. I can play tunes like usual and mouse over to crossfade video and add effects. Not ideal but it’s a start… Ideally I could buy a Rane mixer for the best results, but the reason for using the Vestax is for portability when I travel to Asia in a few months. You could look at a controller that works with Serato DJ, then add a small extra Midi controller for video.